Brian Goodman is an RTC correspondent. He filed this report from the Kansas City pod of the West Region. Henderson Runs Ice Cold Before Contributing In Win: Ole Miss’ enigmatic star had the ultimate half to forget, with a bagel on 11 shot attempts before intermission. He came alive in the second half, hitting buckets, grabbing a few loose balls and icing the game with late free throws. He finished with 19 points on 21 shots, but the bigger takeaway is that it was easy to see the Rebels gain confidence once Henderson got going. While Ole Miss held it together with Henderson missing, the Rebels played a little looser once he got going in the second half. Uncharacteristic Afternoon For Wisconsin. The Badgers put on a very unusual performance, committing several mental miscues, hitting just 25.4% of their shots and letting up offensive boards by the bushel in the first half. Ole Miss’s zone especially frustrated Wisconsin, and the miscues allowed the Rebels to stay in the game despite Henderson’s arctic first half shooting. Badger Seniors Go Out With A Whimper: Jared Berggren, Mike Bruesewitz and Ryan Evans had very good careers under Bo Ryan, but vanished Friday afternoon, shooting a combined 5-22 on Ole Miss’ defense. Bruesewitz also committed four costly turnovers and Berggren just never got going offensively. While experience is a vital part of March Madness, the best player on the court for Wisconsin was freshman Sam Dekker. Star Of The Game: Reginald Buckner: His polarizing teammate outscored him by ten points, but the burly Buckner was terrific inside for the Rebels, scoring nine points to go along with a game-high 12 rebounds. Wisconsin had no answer for him as he continually backed down Wisconsin’s interior defense and was perhaps the biggest reason why Ole Miss was able to stay close and ultimately pull ahead. Not to be forgotten is Buckner’s frontcourt complement, Murphy Holloway, who chipped in ten points and nine boards of his own. Breaking Down the Game: Can Ole Miss Ride Its Hot Streak to a Win Over Wisconsin? The #5-#12 match-up has traditionally been the most exciting place to be on the first weekend of the NCAA Tournament. When red-hot SEC champion Ole Miss squares off with a stout and unpredictable Wisconsin team, it may be the best game of the Second and Third rounds. Mississippi enters the NCAA Tournament for the first time since 2002 after winning the SEC title. The boisterous play of shooting guard Marshall Henderson has made the Rebels a front-page attraction despite their #12 seed, but it’s the steady presence of rock-solid players like Murphy Holloway and Reginald Buckner who have been the fuel behind Ole Miss’ comeback. Henderson, the senior guard in his first year as a Rebel, deserves his share of the praise. Ole Miss needed every victory in its recent five-game winning streak to make it to the Big Dance. Over that stretch, the veteran shooter has averaged 23.4 points per game and made at least three three-pointers in each of those contests. When he turns his swagger on, the rest of Andy Kennedy’s Mississippi team flows with him, often leading to feast-or-famine runs that can lead this team to monster wins and shocking losses. David Changas is an RTC correspondent. He filed this report after this afternoon’s SEC Tournament semifinal between Ole Miss and Vanderbilt in Nashville. Henderson Will Get His Shot at an SEC Championship Sunday. Vandy Goes Cold. Vanderbilt was in control of the game for most of the first half, as they led by eight with just under four minutes remaining in the frame. After that, the Commodores went ice cold, particularly from three-point range. They were held scoreless for the last 3:49 of the first half and didn’t score their first basket in the second until the 17:35 mark. For the game, they shot just 33.9% from the field, and went 6-of-30 from three-point range. What Kevin Stallings did with this team was somewhat remarkable, as anyone who saw the Commodores two months ago never would have believed it could have performed the way it did in this tournament. But Vanderbilt clearly was bothered by Ole Miss’ Reginald Buckner and Murphy Holloway on the inside, and it was unable to get good looks or knock down enough shots on the perimeter. After playing the last two nights, it stands to reason the Commodores had tired legs, and it clearly showed in their performance Saturday. Marshall, Marshall, Marshall. Marshall Henderson has been, to say the least, a source of entertainment in Nashville this weekend, and much of the buzz among fans and the media has been about the Ole Miss junior. On Saturday, he was not quite as animated as he was in Friday night’s comeback over Missouri, but he still showed flashes of the personality that drives so many in the league crazy. What can’t be discounted is how important he is to his team. He led Ole Miss in scoring for for the second consecutive game, and, as he did Friday, hit key shots at important times. 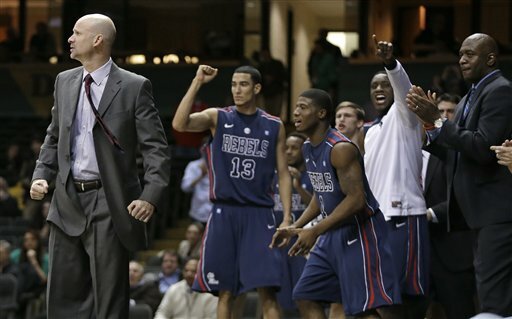 His play allowed the Rebels to extend their lead, which Vanderbilt was never able to overcome. If the Rebels are able to advance to the NCAA Tournament for the first time in coach Andy Kennedy’s tenure, it’s no coincidence that it comes in Henderson’s first year in the program. Kennedy clearly decided to allow him to display antics that most coaches would not, and it may get the Rebels into the Big Dance. Henderson has deficiencies – he takes too many shots outside the flow of the offense and isn’t a particularly good defender – but he gives Ole Miss an element it hasn’t had in the past, and he was worth the risk for Kennedy. Is Ole Miss Safe? Andy Kennedy is convinced his team is in the NCAA Tournament, and Friday’s win over RPI No. 35 certainly helped the Rebels’ cause. But Saturday’s win over the Commodores likely did nothing to push Ole Miss closer to a tournament bid. Vanderbilt is outside the RPI top 100, and this committee will be given no real weight by the Selection Committee. The Rebels needed the win more from the standpoint that a loss would have severely damaged their cause, and more importantly, it now gives them a chance to take the decision out of the committee’s hands by beating Florida tomorrow. If they lose to the Gators, it’s anyone’s guess whether they’ve done enough to earn a bid. The only two top-50 wins they have came against Missouri, and they have ugly losses against sub-top-200 teams South Carolina and Mississippi State. The Rebels own 25 wins overall, so it won’t be surprising if they do receive a bid even if they aren’t able to beat the Gators, but Kennedy’s club would be well-served to take care of business tomorrow and earn the auto-bid. Star of the Game. Marshall Henderson. Henderson went only 3-of-11 from three-point range, but did lead his team with a game-high 23 points. Again, though, it was the timing of his scoring that keyed the Rebels’ second-half run. 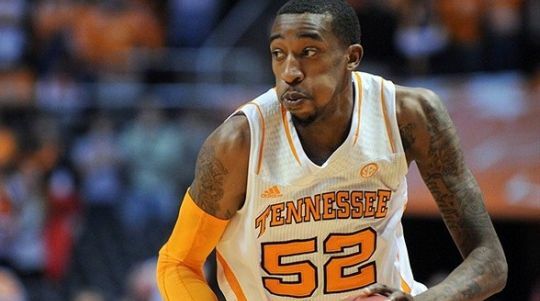 Kentavious Caldwell-Pope has been named the SEC Player of the Year. Coaches bucked the trend of only selecting candidates from the conference’s top teams, instead choosing to recognize how truly valuable the Georgia guard is to his team. Caldwell-Pope averaged 18 points per game (almost 10 more than the next closest Bulldog), and even led Georgia in rebounds despite standing at only 6’5″. The sophomore from Greenville, Georgia, appeared to be leading a bottom-conference team through the opening months of the season, but Mark Fox’s team turned it around in league play, finishing with a .500 record. Barring a miraculous run in the SEC Tournament, Georgia fans’ attention will turn to hoping their star resists the draw of the NBA and returns for another season. Billy Donovan has been named SEC Coach of the Year. He led Florida to its third outright SEC title in a season where his senior-led Gators have clearly been the class of the conference. His team enters postseason play on a bit of a sour note, having blown another late lead over the weekend to Kentucky. Donovan had developed a reputation of not putting great defensive teams on the floor, but that assertion should be put to rest after this season. Florida is the nation’s second most efficient defensive team, as only Louisville ranks ahead of the Gators in Ken Pomeroy’s adjusted defensive rankings. Despite not seeing the court for a month now, Nerlens Noel took home a lot of hardware. Kentucky’s freshman center was named the SEC Defensive Player of the Year, the SEC Freshman of the Year, and earned a spot on the all-SEC first team. He is the Wildcats’ only representative out of the 16 players named SEC first or second team this season. Noel might have been one of the last members of Big Blue Nation to learn of his accomplishments, however, as he spent Tuesday having his torn ACL operated on by the notorious Dr. James Andrews. One SEC bubble team may not have its full arsenal this week in Nashville. Ole Miss starting big men Murphy Holloway and Reginald Buckner have been playing in pain all season, and backup Anthony Perez has missed the last three games with a knee injury. “We really don’t have a (full) front line, so it makes it difficult to practice,” assistant coach Bill Armstrong said. “We’ll just continue to stay the course and prepare the way that we’ve prepared over the last month or so. And just get ready mentally, more than anything else, for Friday.” A likely match-up with Missouri, an SEC team with the personnel to attack a weakened front line, looms on Friday. Brian Joyce is a writer for the SEC microsite and regular contributor for Rush The Court. Follow him on Twitter for more about SEC basketball at bjoyce_hoops. Kentucky needed a signature win on its resume, and that’s exactly what it got when the Wildcats defeated the fighting Marshall Hendersons of Ole Miss in Oxford on Tuesday night. All the attention was on the Rebels’ Henderson, but it was a 6’11” freshman without a single field goal in the game who had the largest impact on the outcome. Nerlens Noel blocked a school record 12 blocks (though one was actually blocked by Kyle Wiltjer but credited to Noel) on his way to one of the finest performances of his young career. Perhaps the most impressive statistic of all is that Noel blocked five of his 12 total blocks with less than six minutes to go in the second half while saddled with four fouls. How was Noel so effective? Most players play with hesitation when so close to fouling out of the game, but he did not. He was an even bigger part of Kentucky’s defense down the stretch because the Rebels suspected his weakness in the middle and tried to exploit it. But man were they wrong. What Andy Kennedy’s squad did not anticipate was that Noel would not back off even with the risk of watching the end of a close game next to John Calipari on the bench. But how exactly did he not pick up his fifth foul? 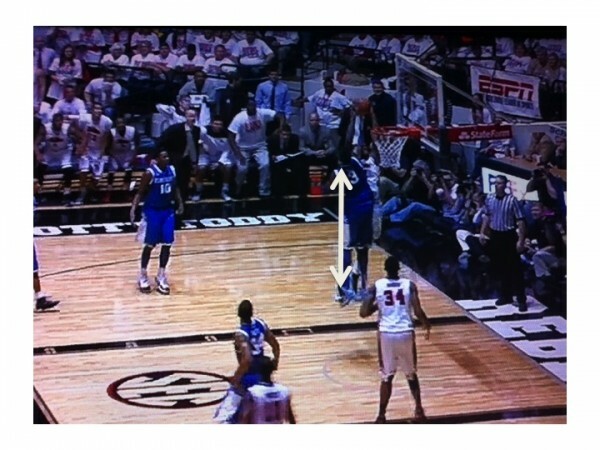 As aggressive as he was in attempting to swat the ball into the upper deck of the Tad Pad, he kept the angle of his body straight up and down to avoid any extra contact. David Changas (@dchangas) is an RTC correspondent. He filed this report after last night’s game between Ole Miss and Vanderbilt in Nashville. Prior to the season, the Ole Miss Rebels were picked to once again finish in the middle of the pack in the SEC. Little did anyone know that the league would be quite as bad as it has been, with preseason favorite Kentucky leading a throng of disappointing teams that may miss the NCAA Tournament. Given his track record of not having made the Big Dance in his first six seasons in Oxford, it was reasonable to assume that Andy Kennedy’s squad would once again be left out. But the Rebels brought a gaudy 13-2 record and an improving RPI into Tuesday’s contest against Vanderbilt in icy Nashville, and with it the hope that this could be the year Kennedy gets the monkey off his back. With a pre-conference schedule filled with an array of cupcakes and losses only to top-50 RPI mid-majors Indiana State and Middle Tennessee State, it was reasonable to be skeptical about whether this Rebels team was any different than some of Kennedy’s prior squads which, though talented, never did enough to qualify for the Tournament. What we did not know about the Rebels coming into the season – and what appears to separate this team from prior Rebel teams – is that they would have a difference-making scorer who could lead them from NIT mainstay to SEC contender. 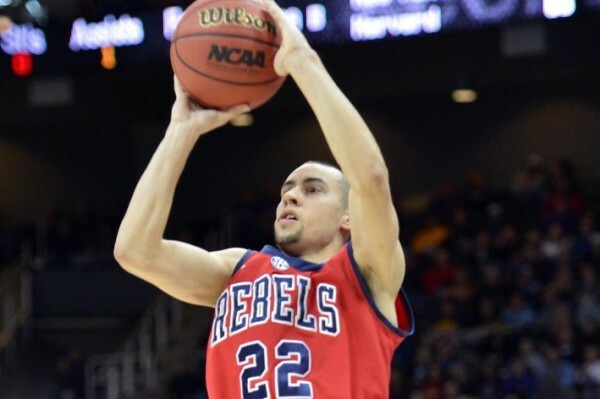 But in junior transfer Marshall Henderson, Ole Miss has just that, and he proved it in the grandest way possible on Tuesday. The Rebels’ 10-point overtime victory in Nashville is one that they clearly were expected to get, especially given that they were coming off a blowout win at Tennessee and a 15-point win at home on Saturday against #10 Missouri. In that game, the Rebels held the Tigers to 36% shooting from the field and forced 19 turnovers en route to a 64-49 victory. But given the way Tuesday’s contest unfolded, this is the type of win that could propel Ole Miss to bigger things, signaling that the Rebels can win on nights when they are not at their best. Christian D’Andrea is a SEC microsite contributor and an editor at Nashville Sports Hub. You can find him on Twitter @TrainIsland. Conference play began for Alabama and Missouri last night, and soon after the rest of the SEC will fall in line. The SEC East has carried the conference banner over the first third of the NCAA basketball season, but that doesn’t mean that there aren’t “West” schools that will be vying for postseason bids when March rolls around. The state of the former division has been muddled by a throng of underwhelming non-conference schedules, but it’s almost a lock that at least one of these teams will surprise their opponents en route to a NCAA Tournament berth. Ole Miss, LSU, Arkansas, and Texas A&M have all gotten out to hot starts in 2012-13. Can they sustain them? Texas A&M – The Aggies Are Headed Into Their First Season of SEC Play, But a Weak Non-Conference Schedule May Have Masked Their Flaws. The good: Texas A&M will enter the SEC with a 10-3 record thanks to head coach Billy Kennedy’s deliberately-paced play-calling. This team has used spacing, shooting, and patience to create open looks and bring inferior opponents down to their level. Senior Elston Turner Jr. has benefited the most from the Aggies’ new style of play, leading the team with 15.5 points per game thanks to a stellar performance from behind the arc.Kennedy’s preference is to grind down opponents, and it’s worked for TAMU so far. Only four opponents have cracked the 60-point barrier on the Aggies this season, and much of that success comes from a team defense that is helping to hold opponents under 40 percent shooting from the field. However, it’s a big question mark as to whether or not these trends can continue when the team’s schedule dives into more hostile waters during SEC play. The bad: A&M has played a cupcake schedule so far, and its three losses have come with varying degrees of disappointment. Their only win over a team ranked in Ken Pomeroy’s top 100 came in a 55-54 squeaker over Washington State, and that has been tempered by losses to Saint Louis, Oklahoma, and Southern.They’ll have to shape up quickly if they want to stay afloat in the SEC. They’ll open with Arkansas before traveling to Kentucky and then hosting Florida in their first three games. These showdowns will give the Aggies a chance to prove themselves, but it could also give this team a big hole to climb out of just two weeks into conference play. Player to watch: Elston Turner Jr. The Washington transfer has one of the smoothest shooting strokes in the game, and he’ll carry on a tradition of behind-the-arc dominance that SEC gunners John Jenkins and Rotnei Clarke have left behind in recent years. He’s become a more complete player in his second year at A&M, and he’ll be driven to make his transfer a prudent choice by leading his team to the postseason. Can it last? No. The Aggies have played just two teams from power conferences, beating a mediocre Washington State team and losing by double-digits to a better but still underwhelming Oklahoma squad. They’ve proven that they’d be able to burn through the Sun Belt, but haven’t shown enough through an easy non-conference schedule to prove that they can hack it in their first year of SEC play. Billy Kennedy’s team will have some success in league games, but their current pace looks unsustainable. Ole Miss – The Rebels Are Scoring and Have the Best Record in the SEC at 11-2, But Who Have They Played? Every week, the SEC microsite will post a composite power ranking list for the league’s performances coupled with a short commentary justifying each team’s specific ranking. Here are Week Four’s SEC Power Rankings (all statistics via TeamRankings). 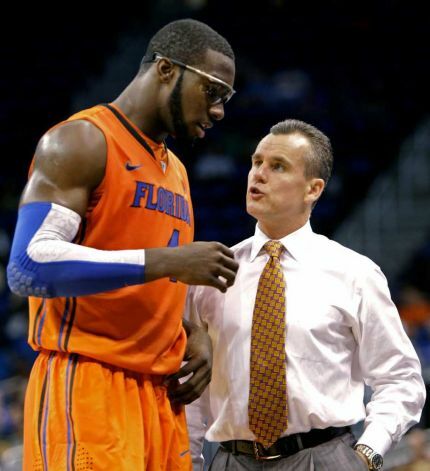 Florida– There’s not a lot missing from the Gators’ resume. They’ve beaten every opponent by double figures, while playing the nation’s 13th toughest schedule. As of the release of last week’s rankings, however, they hadn’t had the chance to prove their mettle in a true road game, a situation in which they struggled last season (losing their first four). After their trip to Tallahassee last week, consider that mettle proven. The Gators embarrassed rival Florida State in a 72-47 win, holding the Seminoles to only 15 first-half points. Florida’s ability to win away from the O-Dome will be crucial over the rest of the season. In addition to this Saturday’s trip to Arizona, the Gators will have road games at Arkansas, Missouri, Tennessee, and Kentucky, all among the more hostile environments in the SEC. Missouri– Do I have to put a team here? There’s a massive gap between Florida and the rest of the conference, but the Tigers are the choice at #2. Missouri hasn’t been tested against quality competition since they left the Bahamas, but their performances against smaller conference foes have been far from convincing. A nasty little habit of starting slow has been their biggest problem. The Tigers trailed Southeast Missouri State by 10 at the half, and only held a three-point advantage over Tennessee State after 20 minutes. In fact, Mizzou ranks 101st nationally in first half scoring margin, at only +3.1 points. Big second half scoring outputs have saved Frank Haith’s team, but with Brandon Paul and the Fighting Illini looming next week, another slow start may be too much to overcome.